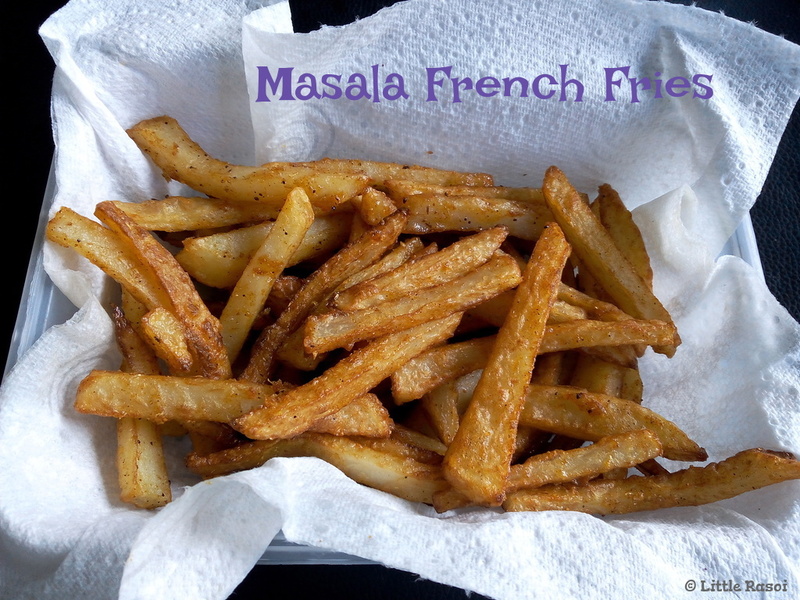 Masala french fries are a modified version of simple french fries. We add different spices to the fries, making it spicy and perfect for an evening snack. We have to choose long potatoes for these fries and it has to be thinly sliced. The potato strips are marinated first in all the spices. Thus it takes in all the spices well. 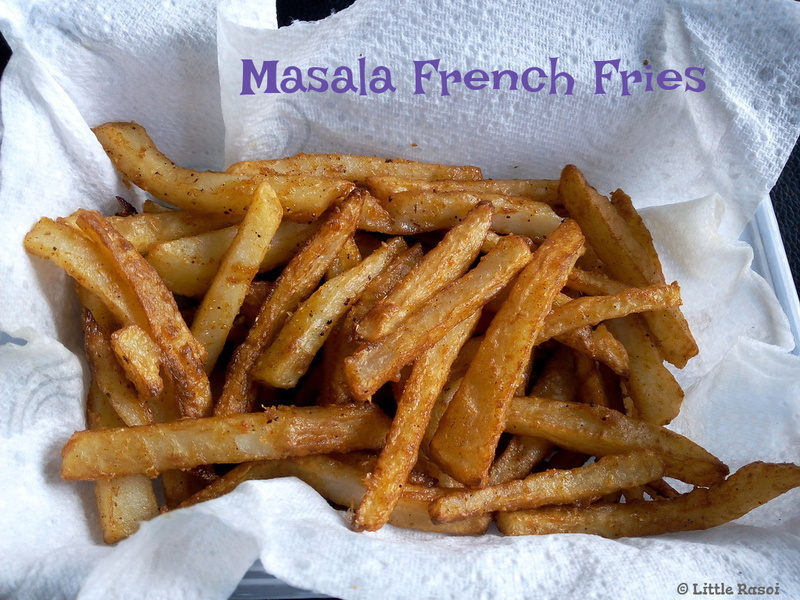 I can definitely say your kids will love these masala fries. 1. Peel the potatoes and cut into very thin strips. 2. Marinate the potatoes with ginger-garlic paste, chilli powder, turmeric powder, salt, lemon juice, pepper powder, coriander powder, cumin powder and garam masala for 2 hours. 3. Now add cornflour powder and color to the potatoes. Combine well. 4. Heat oil in a kadai, deep fry the potato strips on medium low flame until crispy and cooked. Fry the potato strips in small batches. Do not over crowd them. 5. Remove on paper towel and serve hot with ketchup!